We do what we say and we say what we do. We take pride in the complete transparency of all of our files and invoicing for the customers as well as the insurance carriers. Autobahn Collision, established in 1987, is a family owned and operated business that has been serving the Los Angeles community for the past 28 years. Combined, our two locations are housed in over 70,000 sq. ft. of facilities. 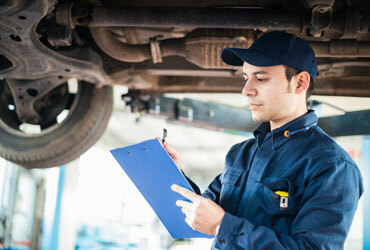 Our primary focus is restoring vehicles to pre-accident condition after a loss. Everything involved in such a repair is performed in-house including body, paint and mechanical repairs. Over the years we have been chosen as the Direct Repair Facility for numerous Insurance Carriers in our area. Just wanted to say thanks for Great treatment during the time my 2005 Toyota Matrix was in your shop! I really appreciate how kind and considerate you all were to me. Autobahn Collision Center © .